SAN FRANCISCO, CA – March 28, 2011. Joseph & Cohen, Professional Corporation, announced today that its co-founders, Jonathan D. Joseph and Jonathan M. Cohen, joined the Ad Hoc Committee of Bank Counsel (“Amici” or “Committee”) in support of the law firm, Bryan Cave LLP (“Bryan Cave”), in a case brought against them by the FDIC (FDIC v. Bryan Cave LLP, 10-cv-03666). The FDIC sued Bryan Cave in November 2010 in the U.S. District Court in Atlanta, charging Bryan Cave with failing to hand over bank records related to the October 2010 collapse of Kansas-based Hillcrest Bank. The Committee, comprised of some of the top banking lawyers in the country, was formed last week to file an Amicus Brief supporting Bryan Cave’s motion for a summary judgment. The controversy relates to Bryan Cave’s representation of the directors of Hillcrest Bank in the brief period before and after that Bank failed. The issue in the case is of vital importance to bank directors and executive officers as the FDIC has asserted that bank directors and officers have no right to retain bank documents after the FDIC is appointed receiver of a failed bank. The Committee’s “friend of the court” brief points out that the FDIC’s complaint, if sustained, would be an unprecedented deprivation of long accepted rights of bank officers and directors to mount and conduct an adequate and timely defense against claims by the FDIC and others. The Committee’s Amicus Brief was filed before Judge Timothy Batten, Sr. in the Northern District of Georgia on March 24, 2011. As Amici, their court filing fulfills the classic role of amicus curiae by assisting in a case of general public interest and supplements the efforts of counsel to a party in the case. The Committee is a group of twenty-eight experienced and recognized bank attorneys and one major national law firm all of whom are currently active in the representation of FDIC insured financial institutions, as well as their officers and directors. Members of the Committee are frequently called upon to provide advice and counsel to officers and directors regarding their rights and obligations when they are subject to or threatened with a claim by the FDIC, by shareholders or other third parties, for claims incident to a failure or risk of failure of the bank for which they serve. The central question in the case is whether directors and officers of federally insured banks may access and obtain copies of bank documents in anticipation of the bank’s failure, so that they may later use the copies, with the assistance of counsel to explain and defend their conduct. Bryan Cave has filed a motion asking the Court to dismiss the case arguing that as a matter of law the FDIC has no valid claims. Bryan Cave’s motion points out that no federal statute or regulation prohibits a bank director or officer from accessing bank documents to assist in explaining or defending his or her conduct. Consequently, they assert that under Kansas law, as in Delaware, New York and many other states, bank directors have a well-recognized right to review and copy corporate documents, and to share those copies with their own counsel, for the entirely legitimate purpose of explaining and defending their own conduct. 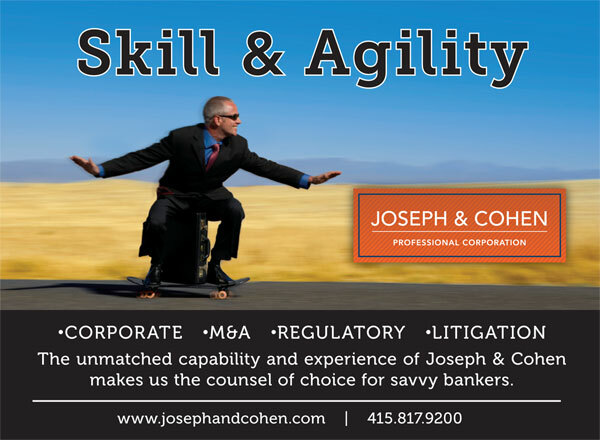 Joseph & Cohen, Professional Corporation, is an AV® rated law firm based in San Francisco, California that emphasizes the representation of community and regional banks and bank holding companies and their officers and directors. The firm also handles complex corporate, securities, regulatory, employment and merger transactions as well as commercial and executive employment litigation. Joseph & Cohen is known for sophisticated expertise, extraordinary commitment to clients, relationship-based services, and a range of specialized capabilities typically found only in the largest American law firms. For additional information, please visit the firm’s website at www.josephandcohen.com or Facebook at www.facebook.com/josephandcohen.